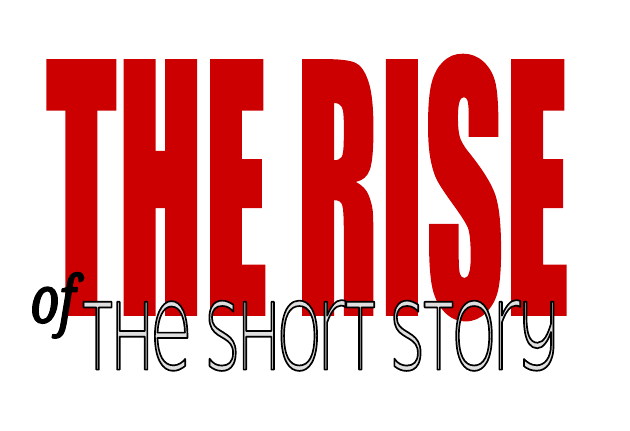 Welcome to The Rise of the Short Story: a series dedicated to exploring the short story and its current renaissance. To that end – all during the month of February some of my favorite bloggers and podcasters will stop by to tell us why they love (or hate) short stories, why they think they’re back into vogue and to (of course!) recommend some of their favorites. I used to avoid short story collections like the plague when I was younger. If I was going to read, I wanted the whole enchilada. Give me 300 pages of the same characters so I can nestle in and live alongside them for awhile, and I was happy. I wasn’t interested in getting to know a set of characters only to say goodbye to them a few pages later and start all over again with a whole new set. Short stories always seemed to be a mixed bag – sometimes I wanted them to keep going and would end up frustrated because I wasn’t ready to let the characters go yet, other times I wanted them to end immediately because I wasn’t connecting with it. One of the first collections I reviewed for TNBBC was Ben Tanzer’s Repetition Patterns. And it opened my eyes to what short stories could be (and possibly had been the whole time I had been stubbornly ignoring them). The characters in his stories overlapped, they lived in the same town, they watched the same movies, hung out in the same places, sometimes at the same time, sometimes years apart. Alan Heathcock did something similar with Volt. This interconnectedness within the collections made it easier for me to sink into the stories, because even though the scene changes and the characters grow younger or older, it has that familiarity that I love so much in novels. I’ve read and enjoyed other collections over the years that contain stories that are tied to each other by theme, like Blake Butler’s Scorch Atlas; collections like Please which feature multiple authors writing about one specific topic; and novel-in-stories like Molly Tanzer’s A Pretty Mouth. My favorite short story collection, though, is Jose Saramago’s The Lives of Things. The king of allegorical fiction, Saramago manages to make each of the 6 stories in this collection feel like full length novels. He fleshes out each character – most of which are not even human! – while maintaining the punctuation-starved trademark run-on sentences that fans know and love. Now that I read short story collections more regularly, it’s interesting to note just how many short story collections are being published each year. Does our addiction to technology (and presumed shortened attention span) have an impact on the success of the short story? How about the ever-changing digital publishing platforms? Do you think publishers and authors are simply reacting to the consumers’ desire to have more, faster, quicker? Or could it just be that people are more likely to pick up a collection vs. a full length novel out of sheer convenience? When you’re working full time and raising a family, sometimes it’s easier to sneak in a story or two than it is to try to invest time into a book that you may or may not get back to reading this week. It could be they just fit our lifestyle better. No matter what the reason, Go. Read. Get lost in a short story for a minute or two. You’ll be glad you did. Lori recommends: Ben Tanzer’s Repetition Patterns; Alan Heathcock’s VOLT; Blake Butler’s Scorch Atlas; Molly Tanzer’s A Pretty Mouth & Jose Saramago’s The Lives of Things. (And for even more recommendations you can follow Lori on Twitter at all hours of day and night @TNBBC. And check her out in this article at the New York Times). Thanks Lori, for contributing to The Rise of the Short Story. You just reminded me that I still haven’t read Volt. I need to get on that asap. When Lori mentions tech and its influence, it reminded me that there have been popular venues for short stories for ages (The New Yorker, but really just about any magazine includes a short story of some type). Maybe it’s the collection that’s daunting.